Highways Magazine - Future of Infrastructure survey: Does the public decide? Future of Infrastructure survey: Does the public decide? 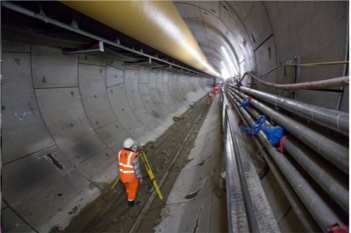 Future transport projects in London could be undermined if politicians fail to engage with the public, a major infrastructure firm has warned in the wake of the Crossrail debacle. Research by AECOM found that over half of respondents (55%) felt they didn't have the chance to feedback on transport services during the past year, while half of those questioned in London think that when they are asked their opinion, it is too late in the process for their views to have an impact. The findings come as part of AECOM’s 2019 Future of Infrastructure report, which asked more than 1,000 people in the capital for their views on infrastructure as part of a global survey. AECOM argued that a perceived lack of engagement, along with controversies around projects like the Garden Bridge, could be informing Londoners’ dissatisfaction with infrastructure management and delivery. Fewer than one in three Londoners felt those in power are making the right decisions about what infrastructure projects to fund. In terms of current transport provision, 60% of Londoners said they are finding it increasingly stressful to travel on public transport and almost a quarter (23%) rated the reliability of public transport in London as ‘poor/very poor’. Colin Wood MBE, chief executive – civil infrastructure, Europe, Middle East and Africa at AECOM, said: ‘Our public transport systems are widely used and people are generally satisfied, but poor engagement from infrastructure providers, owners and wider industry has the potential to change the mood. Two in five (39%) Londoner surveyed said they would be willing to pay higher taxes to help fund infrastructure improvements but only a quarter (25%) would be willing to pay higher fares for public transport in the future, with 38% describing it as currently unaffordable. However, of the 10 cities surveyed, London ranks third in terms of its citizens’ satisfaction with infrastructure, behind Hong Kong and Singapore. More than half of respondents in London (52%) said city officials take a short-term view of infrastructure planning and 59% stated that large-scale transportation projects in the capital are usually delivered late. AECOM said it is calling on government to move major projects outside the political cycle and ‘create the right business environment to attract private investment and get key schemes off the ground’.